In spring many woods in the UK and Ireland are carpeted with bluebells - a truly magnificent sight. These perennial bulbous monocots produce flowering stems typically 25 to 45 cm tall. The pointed strap-like hairless shiny leaves are typically 10 to 20mm across and up to 45cm long. Strap-shaped with a pointed tip. 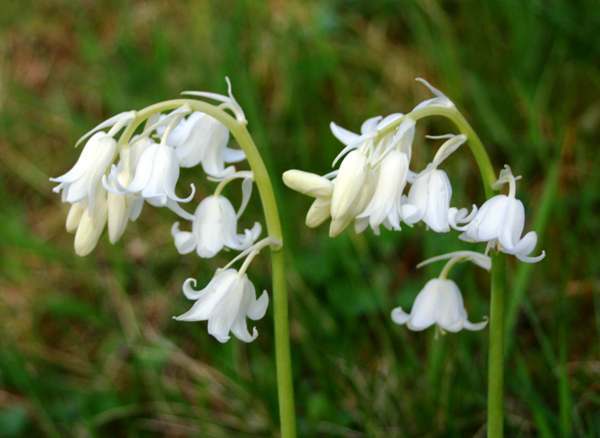 Each stem produces a drooping inflorescence of 5 to 20 individual bell-like flowers. Individual flowers, which are usually blue but sometimes white (and very occasionally mauve or pink) have six conjoined petals with up-turned tips. Two important identification features arethe anthers, which are white and carry creamy-white pollen, and the scent, which is strong an pleasant. Most often seen in woodlands, particularly where broadleaf trees allow plenty of light to reach the forest floor in early spring, Bluebells can also be found in open areas - for example most of the grassland on Skomer Island, off the Pembrokeshire coast, is a blaze of blue (Bluebells) and pink (Red Campion) in May and early June. 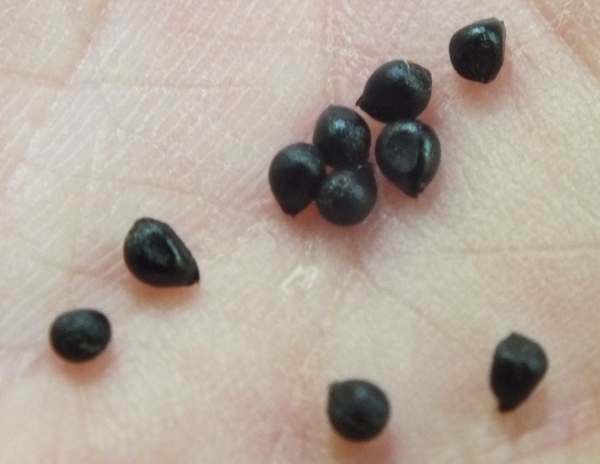 The shiny black teardrop-shaped seeds remain in their cases through summer and into autumn; then they fall to the ground and are soon buried beneath rotting dead leaves. Bluebells can be found throughout Britain and Ireland and they occure across most of Western Europe; however, Britain is by far the best place for seeing them. It is estimated that nearly 50% of the world's population of these gregarious spring wildflowers occur in Britain and Ireland. 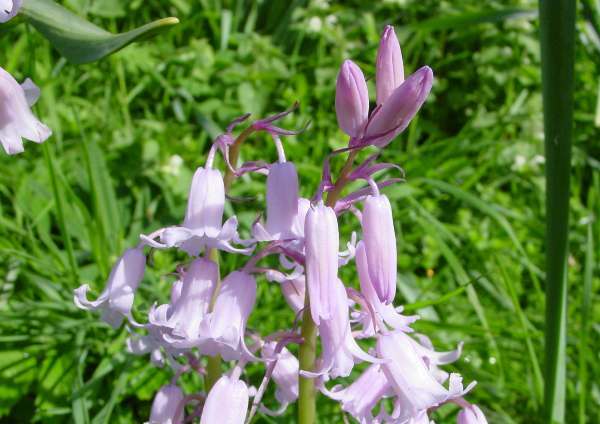 Pink, mauve and (as seen above) white 'bluebells' are also fairly common in the countryside, and particularly near to towns and villages. 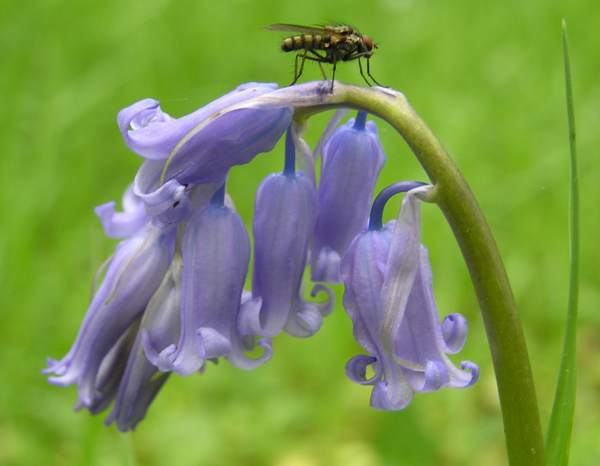 These are not necessarily native Bluebells; many are garden escapes - cultivars derived from southern European bluebell species such as the Spanish Bluebell Hyacinthoides hispanica, which has a more erect stature, shorter bells than our native Bluebells and greenish or blueish pollen. 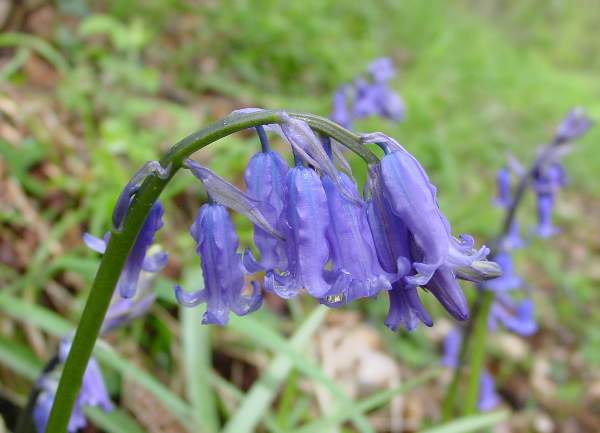 Hybridisation with these alien species is considered to be one of the most serious threats to the conservation of Britain's wild Bluebell populations. 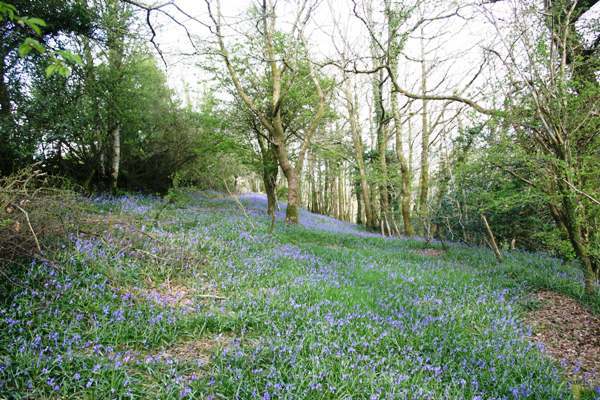 The Bluebell flowers shown on this page were photographed in woodlands in West Wales.